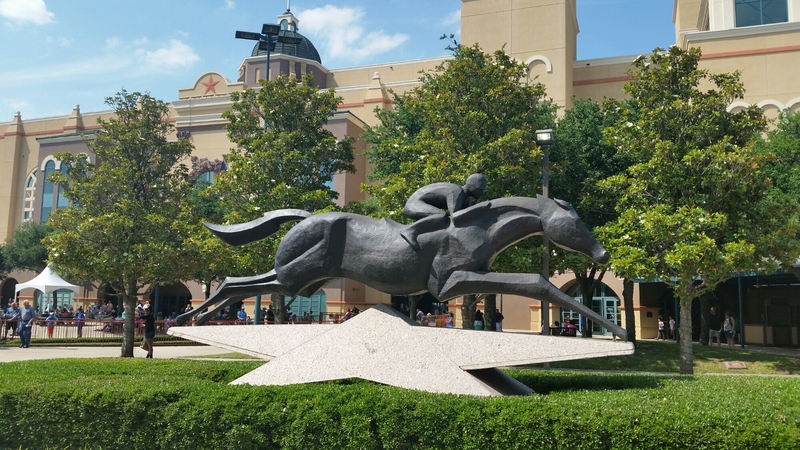 The Lone Star Park racing season is from the beginning of April to about mid-July, and we usually average a visit once a year. We all love horses, so the kids really enjoy going to see them. Sometimes we wager, sometimes we don’t, but we always have fun! 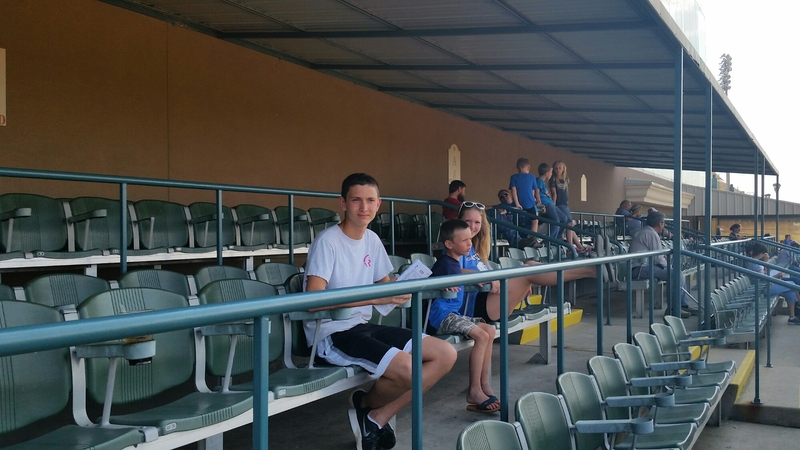 If you’ve never been to a horse track, it can be a little confusing, but don’t let that stop you! For an inexpensive day of fun, just follow my routine, or make a special day of it in Silks Dining Room. Just be sure to check out My Mommy Tips before you go! The Magical Winter Lights exhibit runs from Nov. 17 thru Jan. 7th. Click HERE to visit their website! SAVE 40% on tickets to Holiday Wonder! Offer good through October 20, 2017. Enjoy magical lanterns, while creating a lifetime of memories for you and your family. Enter promotional code: HAPPYHOLIDAYS. Parking is FREE, except on Big Event Days like Fourth of July! Purchase a racing form just after you enter the race, for about $4.00. Coolers and food are allowed. No glass or alcohol. We aren’t gamblers, we don’t even buy lottery tickets, but when we do wager, I’m very systematic about how we do it! Before each race, (there are 20 minutes between races) I want to see the horses as they parade out. This takes place near the saddling paddock, by the big fountain. We spend most of our time here, and there are plenty of shade trees. Bring a blanket to put out under the trees, lawn chairs and a cooler filled with food and drinks (no alcohol or glass). We stay here until about 5 minutes before the race, then go place a wager, and I like to stand near the finish line! Once the race is over, we return to our shade spot! No one under 21 is allowed to place a wager, but we enjoy rooting for our favorites! I will occasionally let me kids pick a horse and wager on it, and my daughter, who chooses her picks off the horse and jockey’s colors, won $114! When we wager, we take enough cash to make a minimum $2 wager on each race. 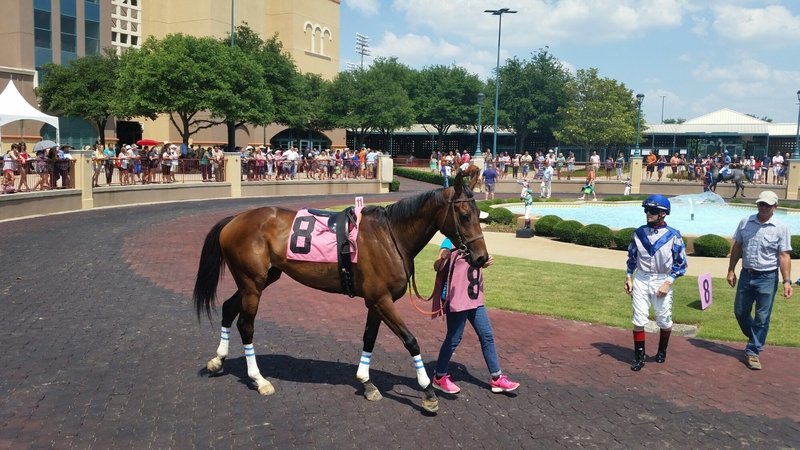 We bet on our favorite horse to win, but once you learn the lingo, you can also bet to place (2nd place) or show (3rd place). 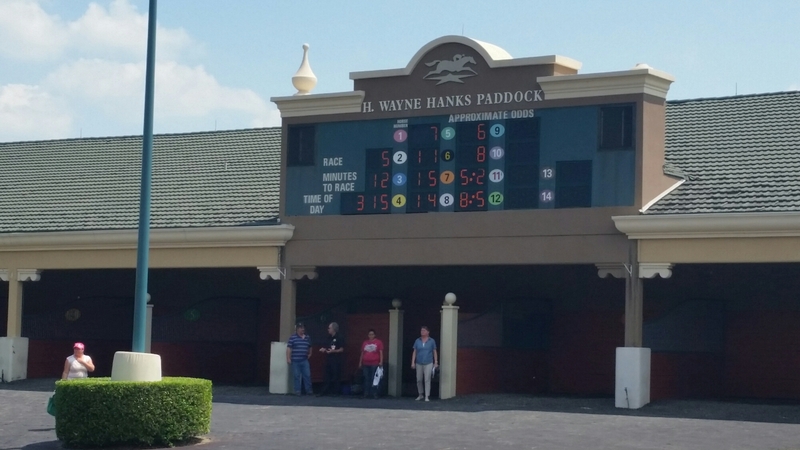 They also have win-place-show bets ($6 the horse can come in either 1st, 2nd or 3rd), and Trifectas, where you pick the first 3 horses in order for a big payout! When it comes to purchasing tickets, there are several places to sit, depending on why you are there. The website doesn’t help much, but I can! 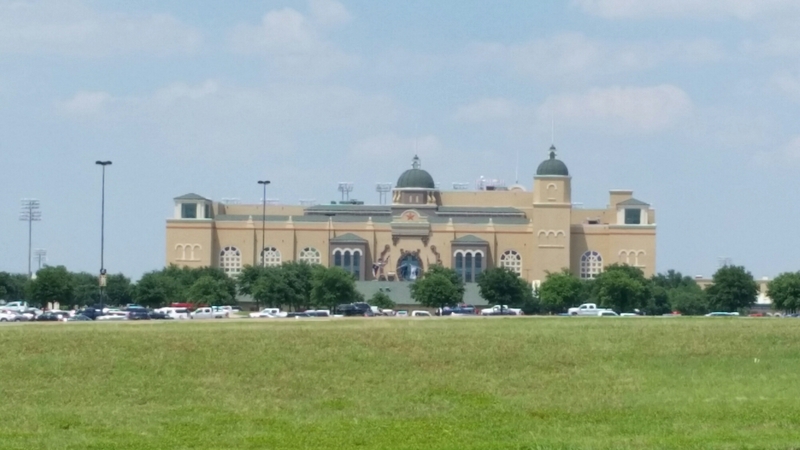 General Admission is the least expensive way to get into Lone Star Park. It doesn’t give you a “seat”, but there are tables near the racing and in the back. 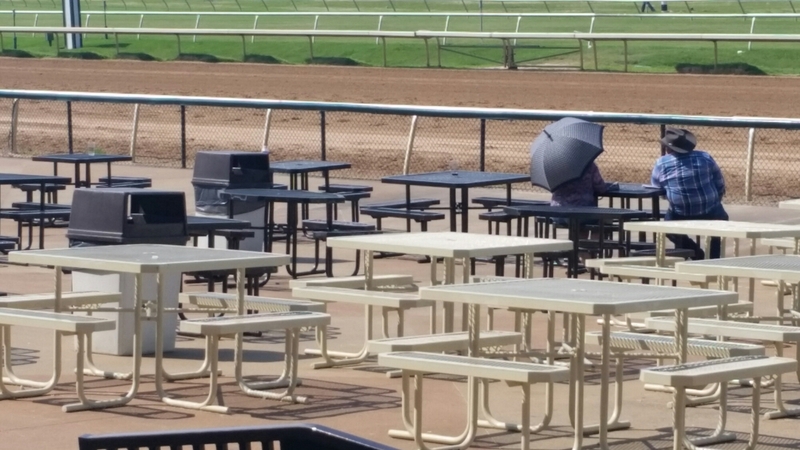 The tables near the track do not have any shade. There are tables near the Paddock Area with shade. Box Seats are fantastic if you have a group! They are inside on the 2nd floor, with glorious air conditioning! You must purchase either 4, 6 or 10. 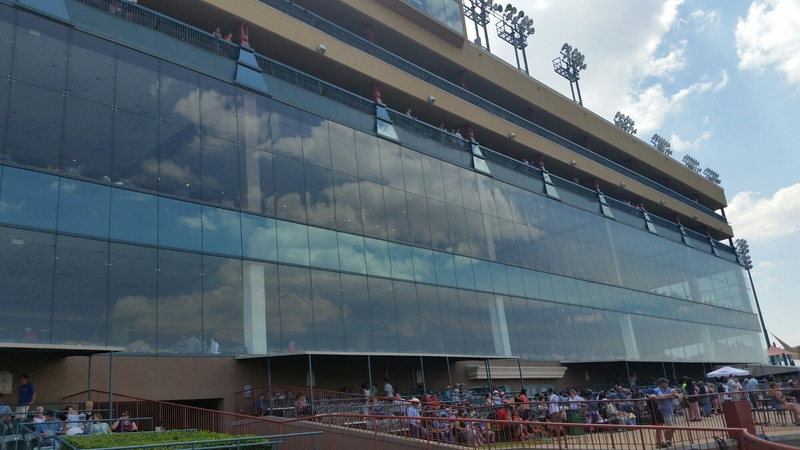 You can still place wagers here, but it’s a hassle to do up and down if you want to get a close look at the horses. We usually do this when on Family Fun Days, so we can come in and cool off afterwards! You do need to make reservations in advance. For special occasions, we like Silks Dining Room, such as my father-in-laws birthday, which usually coincides with Father’s Day. Each Father’s Day they offer a terrific buffet, and we are usually having so much fun we rarely place any bets! There is an upscale casual dress code, with collars for men. You need to place seating reservations in advance, and be sure to ask for a table next to the window! Also, the price of the buffet is not included with the ticket price, so check on that before your visit. It’s higher on special occasions. My kids love having the track bugler come up to play Happy Birthday for my father in law! It’s a special treat! On select Sundays, the Family Fun Park is open, offering pony rides, bounce houses and face painting for an additional price. It’s not every Sunday, so you should call to check before you go. Each Sunday, you can bring in a Pepsi Can for 1 Free General Admission and 1 Free Pepsi! 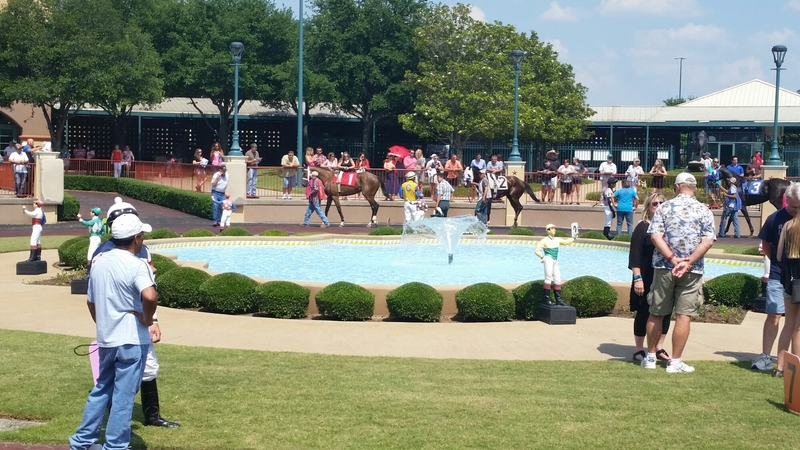 Each year, Lone Star Park celebrates the 4th of July with a huge fireworks show! 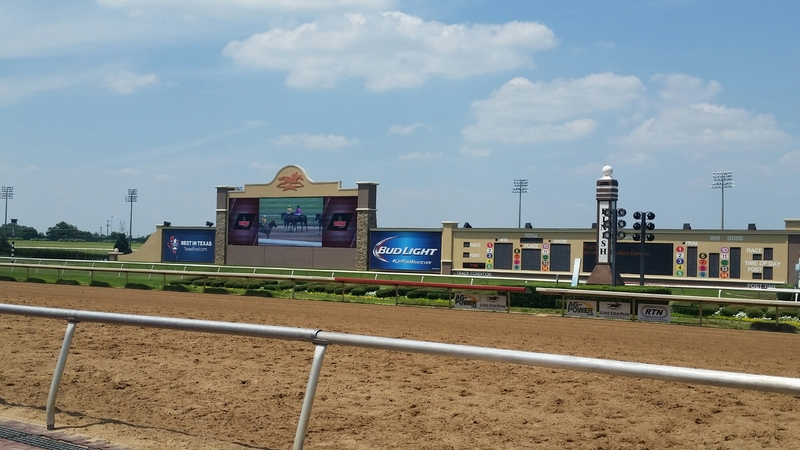 Lone Star Park has concerts each Friday nights, with some big names and admission is included in race day tickets. However, we’ve never been, and I have no idea how “family-friendly” they are. Sorry. Grand Prairie Air Hogs is a fun, minor league team with great daily promotions, a playground, swimming pool and lots of fun for the family! Click HERE to read more. Ripley’s Believe it or Not and Louis Tussauds Palace of Wax is an interesting and fun place to visit, but beware the Horror Chamber! Click HERE for more information. Turner Park at 2170 N Belt Line Rd offers an 18-hole disc golf course.